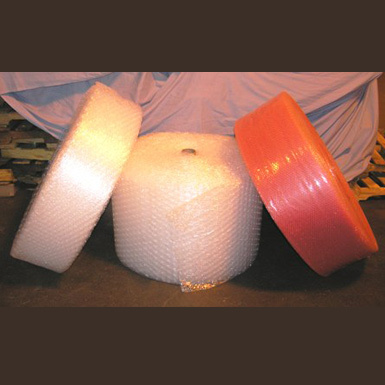 Options: 12"X750' LONG BUBBLE WRAP 3/16" BUBBLE 12"X750' BUBBLE WRAP PERF EV 12" 3/16" BUBBLE 12"x750' ANTI-STATIC BUBBLE WRAP 3/16" BUBBLE 24"X750' LONG BUBBLE WRAP 3/16" BUBBLE 24"X750' LONG BUBBLE WRAP 3/16" BUBBLE PERF EV/12" 24"X750' LONG ANTI-STATIC BUBBLE WRAP 3/16" BUBBLE 48"X750' LONG BUBBLE WRAP 3/16" BUBBLE 48"X750' LONG ANTI-STATIC BUBBLE WRAP 3/16" BUBBLE 48"X750' LONG ANTI-STATIC BUBBLE WRAP 3/16" PERF 12 12"X375' LONG BUBBLE WRAP 5/16" BUBBLE 12"X375' LONG 5/16" BUBBLE WRAP PERF EV/12" 12"X375' ANTI-STATIC BUBBLE WRAP 5/16" BUBBLE 24"X375' LONG BUBBLE WRAP 5/16" BUBBLE 24"X375' LONG BUBBLE WRAP 5/16" BUBBLE PERF EV/12 24"X375' LONG ANTI-STATIC BUBBLE WRAP 5/16" BUBBLE 48"X375' LONG BUBBLE WRAP 5/16" BUBBLE 48"X375' LONG ANTI-STATIC BUBBLE WRAP 5/16" BUBBLE 12"X250' LONG BUBBLE WRAP 1/2" BUBBLE 12"X250' LONG BUBBLE WRAP 1/2" BUBBLE PERF EV/12" 12"X250' LONG ANTI-STATIC BUBBLE WRAP 1/2" BUBBLE 24"X250' LONG BUBBLE WRAP 1/2" BUBBLE 24"X250' LONG BUBBLE WRAP 1/2" BUBBLE PERF EV/12" 24"X250' LONG ANTI-STATIC BUBBLE WRAP 1/2" BUBBLE 48"X250' LONG BUBBLE WRAP 1/2" BUBBLE 48"X250' ANTI-STATIC BUBBLE WRAP 1/2" BUBBLE 48"X250' LONG ANTI-STATIC BUBBLE WRAP 1/2" BUBBLE PERF EV/12"
> Provides superior cushioning for shipping. > Saves money using less packaging material. > Reusable and long lasting. NOTE: Bubble Wrap can NO LONGER be shipped via UPS or FREIGHT truck. The website is for information purposes only. Please call for delivery charges in the Columbus, OH area.